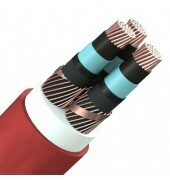 Suitable for underground, use in cable ducts and outdoors application. Each core is screened with semi-conducting layers and copper shield. 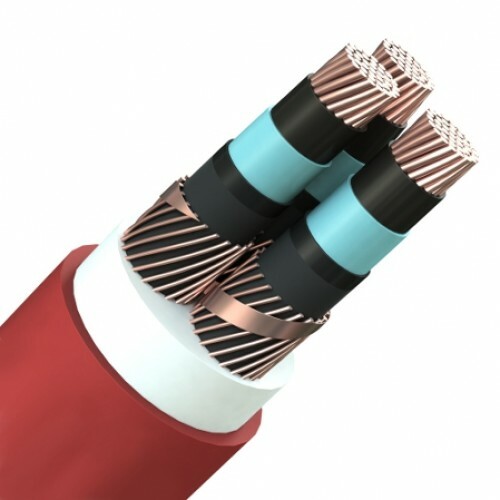 Plain copper conductors to IEC 60228 class 2, semi-conducting layer, XLPE or EPR insulation, semi-conducting layer, copper wires wrapped around each core and covered with an open helix copper tape, PVC outer sheath, available in red or black.